Jenny Jen42: Music in the Baggage Claim? 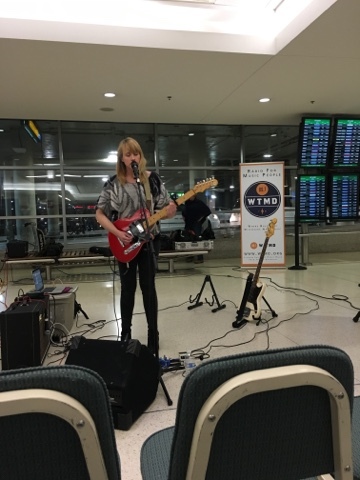 Music in the Baggage Claim? We went to see and had a fun pretending game of let's pretend we're going on a trip to someplace warm! I'd like to know how WTMD came up with this idea, it's kinda bizarre and kinda genius at the same time.